I love playing card games with the class. It is a great, fun way to get the children involved in their learning. Once we have played with the whole class and the students have learned the rules and how to play, we can set up the game as a center and let the children play in a large group on their own; or it can be a fun teacher-led center! 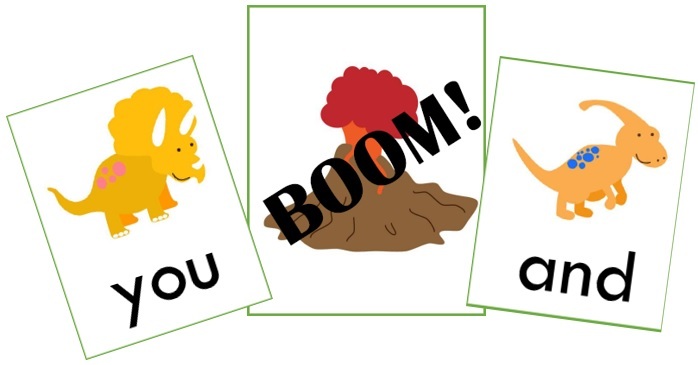 I have found a few games that I enjoy playing with them involving letters and their sounds: Crocodile Snap, Let’s Practice Alphabet Sounds (apple and pumpkin letters) and “I have, Who Has?” card sets (I printed this set to play with the class). These were all great games, but I wanted to incorporate some sight words too. I came up with the Dinosaur BOOM! Sight Word Game to play with the class. 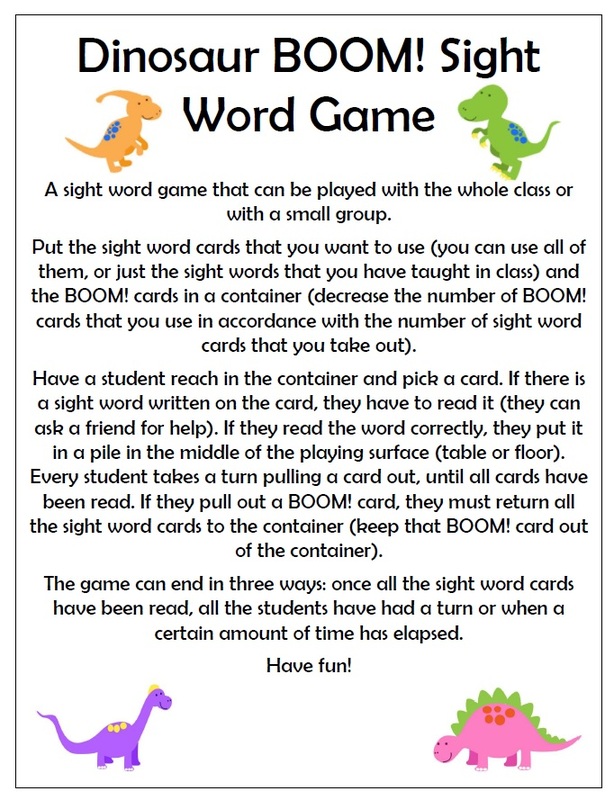 The set includes 50 cards: 40 sight word cards (all the pre-primer Dolch sight words), 2 blank cards that you can add your own words to, and 12 BOOM! cards. All cards are in colour. This game is available in my Teachers pay Teachers store. Buy it for $1.00 here.